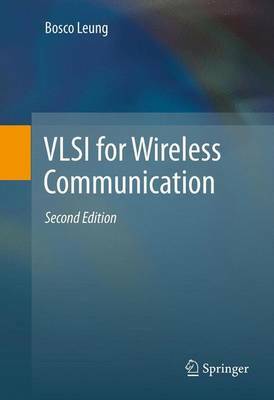 VLSI for Wireless Communication, Second Edition, an advanced level text book, takes a system approach starting with an overview of the most up to date wireless systems and the transceiver architecture available today. Wireless standards are first introduced (updated to include the most recent 3G/4G standards in the second edition), and translates from a wireless standard to the implementation of a transceiver. This system approach is particularly important as the level of integration in VLSI increases and coupling between system and component design becomes more intimate. VLSI for Wireless Communication, Second Edition, illustrates designs with full design examples. Each chapter includes at least one complete design example that helps explain the architecture/circuits presented in this text. This book has close to 10 homework problems at the end of each chapter. A complete solutions manual is available on-line. VLSI for Wireless Communication, Second Edition, is designed as a primary text book for upper-undergraduate level students and graduate level students concentrating on electrical engineering and computer science. Professional engineers and researchers working in wireless communications, circuit design and development will find this book valuable as well.